Rob Thomas describes himself as a “dope-on-a-rope” – a complete misnomer for someone who has spent a lifetime hiking and rock climbing in mountains, and who has been involved in mountain rescues since 1994. I had the opportunity to meet Rob, when he attended one of my CRM Initial courses in a quest to find out more about the subject – which obviously would have application in the team environment of mountain rescue. Immediately apparent is Rob’s vast experience and his clear enthusiasm and passion for his occupation – mountain guiding and instructing, teaching rescue skills (running the School for Mountain Leadership), and part-time lecturing at the UJ faculty of Emergency Medicine (teaching rope, wilderness and aviation rescue). This book shares his vast knowledge and experience, which Rob has acquired over the many years of running rescues or recoveries. As he mentioned to me during our discussions on aircraft accidents, most of these end in recoveries – unfortunately not rescues. But there are many mentions of successful rescues, especially in cases where the victims had some common sense, survival gear, or could be found reasonably easily. The book covers a very specialist area, that of rescues conducted by using helicopters. It is squarely aimed at those who would possibly become involved in such rescues – I would imagine mountaineers and in particular members of the Mountain Club. Those EMS personnel tasked as first responders may also be required to join rescue teams in helicopters. I would submit that it could also benefit the NSRI, which has a dedicated helicopter station manned by qualified volunteers. It is written from a non-aviator’s perspective – Rob provides a short history of helicopter rescues, the why and how of helicopter flight and operations, as well as an overview of the various helicopters used in rescue operations. It very clearly summarises the many risks encountered while working with helicopters – risks which non-aviators may not always be aware of. I particularly enjoyed his easy-to-read references in different colours and with warning signs: Ignore these at your peril! A relatively easy read, the book covers every possible aspect of working with and around helicopters. From communications and signalling, to hoisting, equipment, water rescues and emergency procedures. The tone is informative and avoids a dreary lecture scenario – providing practical hints, illustrated with many graphics and photographs. I would recommend this book to anyone involved in helicopter operations – even pilots and owners/operators would benefit from the “ground” perspective, with which we’re not always familiar. The book is published and distributed by Porcupine Press. Their email is admin@porcupinepress.co.za. I ordered my copy from Amazon – always a good option. John Nichol is a well-known columnist and prolific writer, whose own service history reads like a novel – surviving being shot down and taken prisoner during the first Gulf war. He told this story in Tornado Down and has since published a number of books on WW2 and related topics. None as brilliant as this, his latest offering – which coincided with the 100th anniversary of the RAF. Spitfire is the story of an inanimate piece of machinery, which has assumed almost human proportions in the affections of many generations, since first capturing the public imagination during the Battle of Britain. Nichol gives the history a personal slant, involving the memories of the few remaining WW2 pilots, and finding new material in personal memoirs from that bygone era. The entire history of the Spitfire is covered. All the theatres where it operated and all the many “Marks” of Spitfire, from the obvious Mark 1 to the Mark 14 and everything inbetween (the numbers were not chronologically assigned). Some of the lesser-known battles are covered – one that stood out for me is that of a lone Mk VIII Spitfire over the Imphal valley, battling 19 Japanese “Oscar” fighters and surviving. Alan Peart, the pilot, noted that the wings were bent and scores of rivets had sprung, apart from the damage to the over-stressed engine – but the faithful Spitfire had helped him survive. Many intimate stories from those who flew the Spitfire allow this book to add another dimension to a well-documented period in history. I found it an emotional read, with some paragraphs having to be re-read – to confirm that your eyes have not misled you! As Jeffrey Quill (one of the first pilots to fly the Spitfire) is quoted: “The little Spitfires….captured the imagination of the British people and became a symbol of hope and victory”. Those words just about sum it up – the reason the British public has had such an enduring relationship with the Spitfire, a very British love story. Spitfire – A very British Love Story. The title of Mick Patrick’s biography sets the scene for a rollicking good read about a rather varied aviation career. This had a familiar ring to me – my flying career also followed a rather convoluted trajectory, with a late entry to airline flying. Mick started off in 1960 as an apprentice in the RAF, the spending time on active service in Singapore and Borneo. Here he worked on some typically exotic RAF aircraft, such as Pioneers and Beverleys and, back in the UK on (among others) the famous Lightning. Upon leaving the RAF he worked as ground engineer and gained his civilian licenses, working on the large four-engine turbo-props and jets. By 1976 he became a flight engineer with Transmeridien Air Cargo, followed by F/E positions with Cyprus Airways, British Caledonian and British Airways. As F/E he became a training engineer and examiner, even becoming involved in accident investigations. Flying as F/E for the passenger airlines allowed Mick to start flying lessons, using the time on both sides of the Atlantic to gain his Commercial license and instrument rating (gaining a floatplane rating along the way). This, by the way, at the rather advanced ages of 48 for the Comm and 51 for the IF. He owned and part-owned a few smaller aircraft, and upon retiring from BA was employed to fly a B-200 for an air-ambulance company – thus finally moving to the left seat after years on the ground and in the back- and right seats. The medical flying led to CRM and Dangerous Goods instruction, while he also added Flight Operations and Maintenance Auditing to his CV. (Being a CRM instructor myself, I was abviously interested in his take on the subject). Towards the end of his flying career he requalified as simulator instructor and then started a business as self-employed instructor and auditor – which in turn led to auditing work for IATA. As he says: “It’s been a hell of a ride!” Clearly not always smooth sailing, as a number of failed marriages would attest! 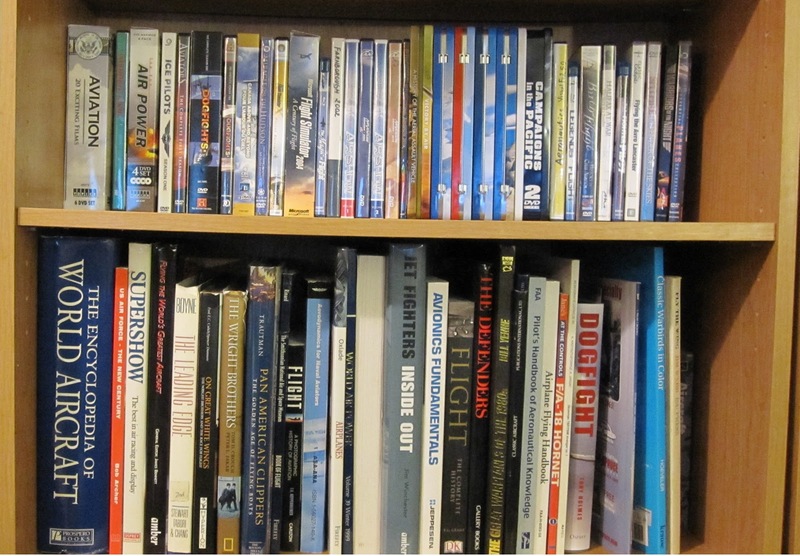 But it is a great read for someone with an interest and passion for aviation, one I would recommend!